Located in the Tampa Bay Area in Sarasota County, Sarasota is one of the most popular coastal cities of Florida. The Sunshine State is home to many luxury beach resorts and coastal cities, but Sarasota stands out as one of the finest for its incredible beaches on local keys like Lido Key and Siesta Key, as well as its unique historic, natural, and educational landmarks and locations like the John and Mable Ringling Museum of Art, the Marie Selby Botanical Gardens, the Mote Marine Aquarium, the Sarasota Jungle Gardens, and more. Sarasota is a wonderful city in which one can feel totally at ease and relaxed, strolling along soft, sandy beaches, enjoying the Florida sunshine, and exploring the surrounding Tampa Bay area too. If you're interested in visiting Sarasota and plan on driving to the city in an RV, there are lots of great RV parks to be found nearby. 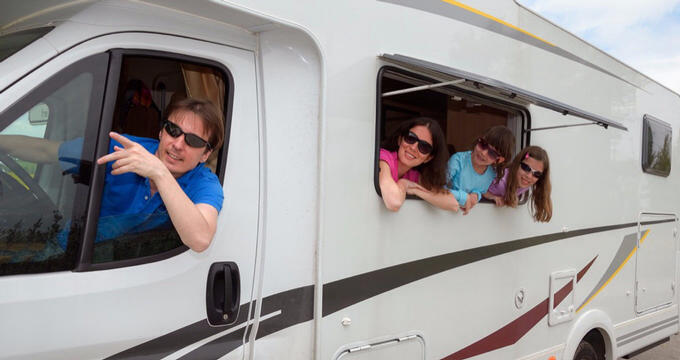 No matter whether you're riding in a small motor home, a big rig, or something in between, you'll be able to find a Sarasota RV park or campground to accommodate your vehicle and provide all the amenities and services you need to have a great stay and a super vacation. Read on for addresses, phone numbers, and detailed overviews of some of the best RV parks in Sarasota, FL. When it comes to RV parks in Sarasota, there's a lot of competition. This is actually one of the best cities in Florida for RV enthusiasts to check out as there are so many great RV parks to choose from, but if you ask any long-time Florida RV fans for their favorite Sarasota park, there's a good chance they'll immediately mention Sun-N-Fun RV Resort. Situated towards the eastern side of the city, a little ways away from the beaches, this RV park provides a very quiet atmosphere that some of the other Sarasota RV parks simply can't match up to. So if you're looking for some peace and tranquility, this is a good RV park to choose. Sun-N-Fun RV Resort is part of the Sun RV Resorts chain, well known for extremely high levels of service, incredible review ratings, and long lists of amenities. This Sarasota location continues the Sun RV Resorts' traditions of offering lots of fun activities and amenities on site for all guests to enjoy, with some examples being a fitness center with weights and machines of all shapes and sizes, multiple play areas for younger guests, lots of different sports courts, huge grassy areas, spacious RV sites with lots of privacy, big swimming pools, paved streets, dozens of picnic tables, two dog parks, and so much more. As the name implies, Sarasota Sunny South is located towards the south of the city, only a short walk away from some beautiful beaches and great dining establishments too, so it's in a super location overall that can really allow you to make the most of your stay in Sarasota. This is a 55+ RV park that is well suited for both long and short term stays and is open all year long as well, perfect for summer vacations to winter getaways. Whether you're visiting Sarasota to bask on the beaches, check out the city's key historical sites, or something else altogether, you'll find this RV park to be a great base for your adventures. Sarasota Sunny South offers a long list of impressive amenities including a huge, heated swimming pool, high speed internet access for all RV guests, lots of cable TV channels so you'll always have something fun to watch on TV, a large clubhouse with plenty of fun games and activities to be enjoyed, a spacious bathhouse which is cleaned and maintained to an exceptionally high standard, lots of green areas and trees to add to the aesthetic charm of the park, and a fitness center too. Guests at this RV resort will also be able to make the most of daily organized activities and games, with guest satisfaction the number one goal at Sarasota Sunny South. When choosing an RV park, it's vital to focus on location as one of the main factors of consideration. Choosing a good location means you'll have easy access to all the main amenities and attractions, and that's exactly what you'll be getting at Sarasota Lakes RV Resort. Situated right in the heart of the city, only short walks away from some stunning sandy beaches, top class restaurants, and super shops, this Sarasota RV park is an excellent base camp for all your Sarasota fun in the sun. One of the oldest and most experience RV parks in the city of Sarasota, Sarasota Lakes RV Resort is a self-service RV park designed with short term, family vacation-style stays in mind. As the name suggests, this is a lakeside RV park, with dozens of sites actually offering lake views. There are hundreds of RV spaces at Sarasota Lakes RV Resort, so you never really have to worry about this location getting filled up, and the on-site amenities include a swimming pool, rec center, lake access, scenic walking trails, restrooms, and more. Another fun thing about this location is that lots of fun activities like lunches, dinners, dances, craft sessions, games, fitness sessions, poker nights, water aerobics, and more are organized on a regular basis, so there's always something to look forward to.